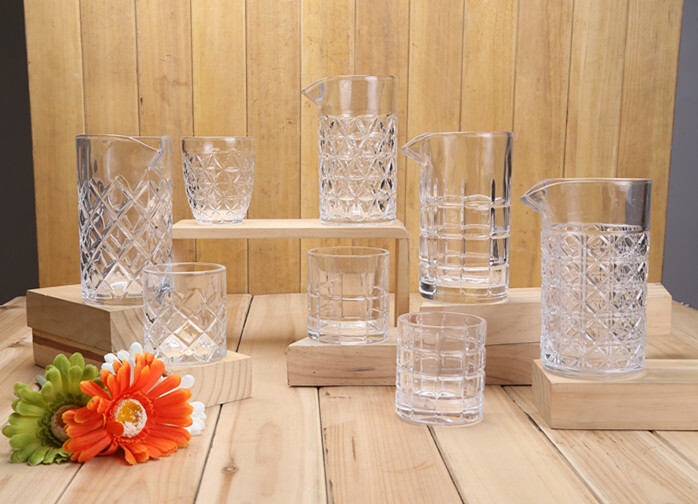 Product categories of Glass Drinkwares, we are specialized manufacturers from China, Glass Drinkwares, Water Glass Drinkwares suppliers/factory, wholesale high-quality products of Glass Transparent Drinkwares R & D and manufacturing, we have the perfect after-sales service and technical support. Look forward to your cooperation! Our Glass Drinkwares are including Tumblers, winde glasses, Mixed Drinkware Sets, Shot Glasses, Goblets And Chalices, Beer Glasses, martini and Whisky Glasses, Snifters and mixting glasses and their carafes, they're lead-free, and are safe and healthy for your drinking. Our glass drinkwares could satisfy your diffrent drinking such as water, wine, beer, brandy, cocktail, whisky, champagne, vodka and juice.